I am unable to install WiFi Driver (Dell Wireless 1705 802.11b/g/n, Bluetooth4.0+HS Driver) downloaded from dell support site for my laptop - dell inspiron 15 3543 on Windows 7 64bit. I changed the OS to Windows 7 from Ubuntu. Can someone please please assist ? Please let us know the error message or code you receive when you try to install the wireless card driver on the system. Also, please reply us with the snapshot of the device manager so that I can check and assist you further. I have attached the screenshot of the error and also attached the error log as well. 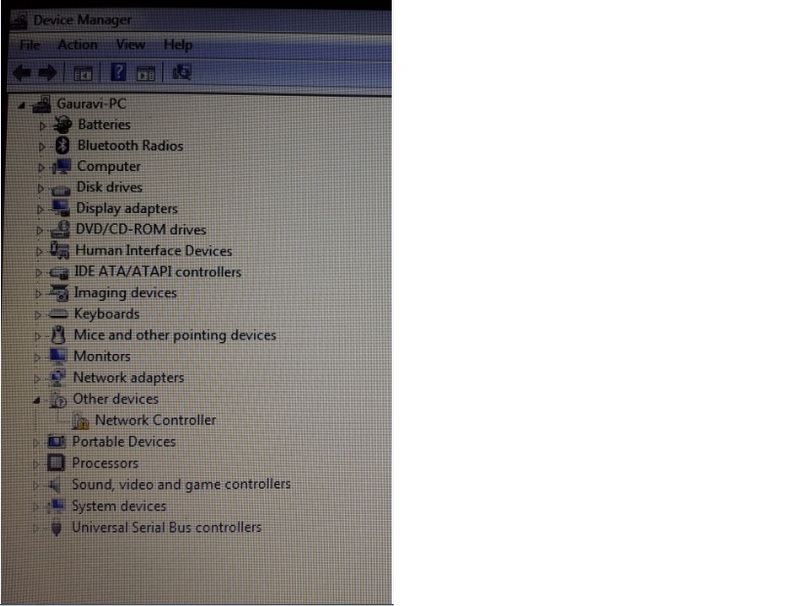 Also find the attached snapshot of the device manager. We need to check if the issue is caused due to any application installed on the system. So please clean boot the system using the link below and then install the wireless card drivers on the system. I am experiencing exactly the same problem with my newly bought laptop Dell Inspiron 15 3543 on Windows 7 64bit. 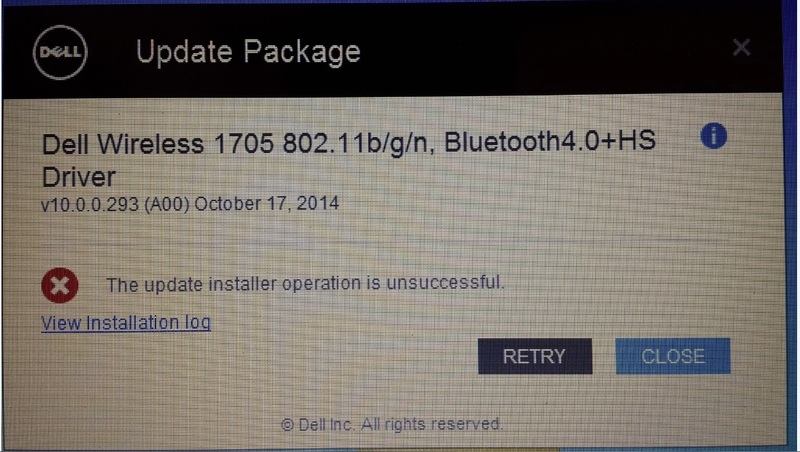 I was unable to install WiFi Driver (Dell Wireless 1705 802.11b/g/n, Bluetooth4.0+HS Driver) downloaded from dell support site. Further I followed your instruction to try with a clean boot. But that also didn't work and I am still getting the same error. Please note that the error logs and screen shots are similler to already published content on this thread. I highly appreciate, if you could let me know a way of fixing this problem. 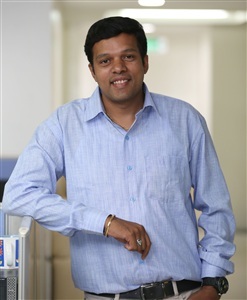 SATISH wrote: "Some Dell expert given suggestion need to install as per driver install order "
I find it much easier to run the 'Guide Me' option which will automatically update your drivers. Please click on link below and follow instructions on how to run then Guide Me option.